Can you tell us about your lovely jewellery label? 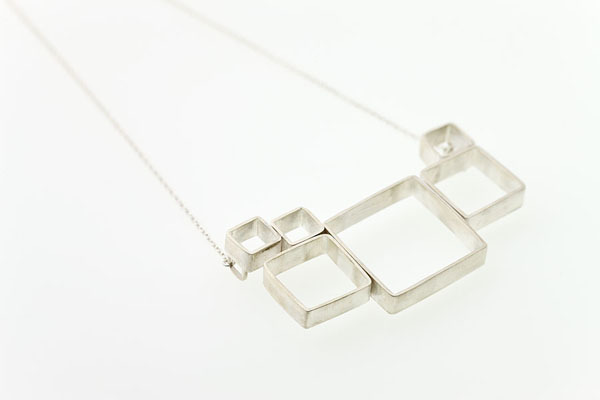 Schmücken was established in 2010, it is a contemporary range of silver jewellery with a strong focus on geometric forms. I design and take great pleasure in making all jewellery in the collection by hand, many of the pieces are one offs and can be custom made or redesigned to suit individual tastes. Have you always been interested in jewellery and how did you get started? My interest in jewellery started from a very young age and progressed into silversmithing out of frustration over the limitations of more craft-based jewellery making. 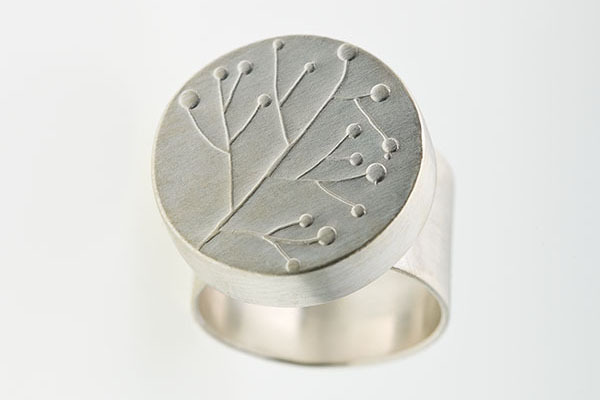 I have designed jewellery since I was a teenager but spent the early years of my adult life pursuing a university education in Environmental Planning. Over the next few years I participated in a range of jewellery making classes in both Melbourne and Brisbane. And, In 2009, after some months of being separated from my tools, I realised that the burning desire to cut and file metal wasn’t normal, ergo the great leap from hobby jeweller to business woman! 2010 saw the formal establishment of schmücken and my studio at Metro Arts – now there is no looking back! Who or what inspires your work, and where does the name come from? I am very interested in geometric form and architecture – this is largely due to my background in urban planning – but also from an interest in representing organic, natural forms using sharp, angular objects. I often walk the streets with my eyes up and head in the clouds, dreaming up the next design for my range that harks from large scale built form transformed into small, bite sized pieces that can be worn (and held) close to your heart. Sometimes I will labour over a design for months (or even years) while other times I will be sitting on a bus and see something that inspires me – those ideas are usually frantically sketched on the back of a bus ticket! 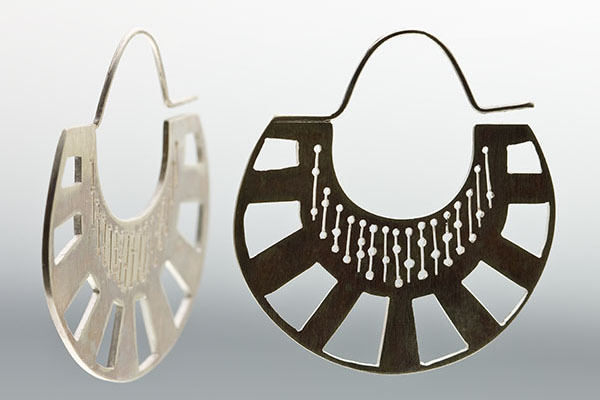 The name schmücken means to adorn oneself with jewellery, it comes from the German word “schmuck”, meaning jewellery. This word is great, it is so specific and speaks volumes to the jewellery lover – “drape yourself in jewellery!” it says “fill your trinket box with trinkets!” it epitomises what jewellery is all about – individuality and indulgence. What are some of your favourite other labels in Australia right now? When it comes to jewellery, I have a very broad appreciation for styles, methods and materials. There are some wonderful jewellers who use more traditional methods such as Katherine Bowman, Justine Austen and my former tutor, Brisbane based, Matt Dwyer. 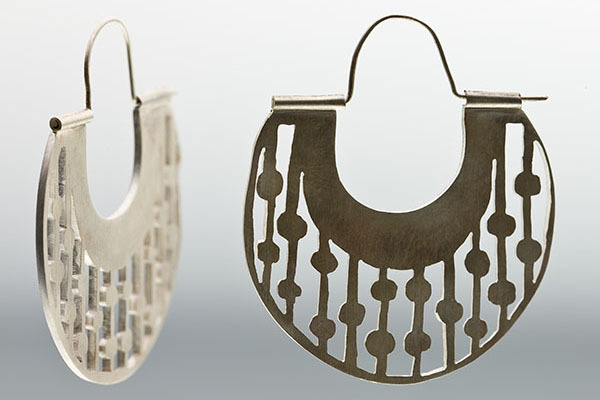 There are also some really exciting artists like Cinnamon Lee and Nina Oikawa who are using a fusion of traditional and modern techniques and pushing the boundaries of jewellery production and design. I have an appreciation for anything that is unique and out of the ordinary – there is plenty of time for “fitting in”, jewellery is all about individuality. What do you love about Brisbane and what can we look forward to seeing at the FK markets? I love the little-bigness of Brisbane. It’s like one big community filled with lots of great people and sunshine! While the creative industry is still competitive, I find that there is always someone willing to lend a hand and offer wonderful suggestions for suppliers, new ideas and inspiration, that’s what I love about Brisbane. At the FK markets I will be showcasing plenty of new work that I have been developing over the last 12-18 months. 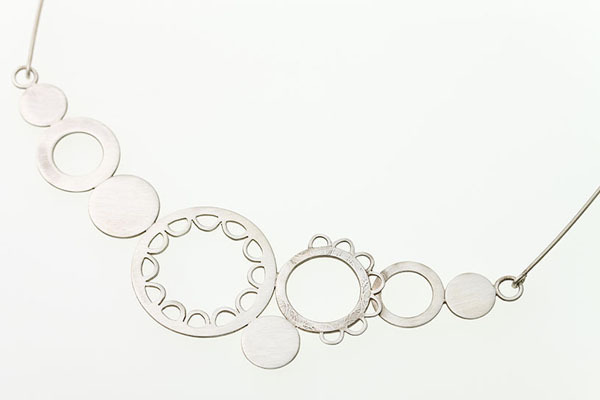 There will be all things silver and geometric – triangles, circles and squares as both 2 and 3-dimensional pieces. The jewellery on display will be a range of sizes and prices with a little something for everyone (including those who like to push the boundaries a bit!). What aspirations do you have for the future of schmücken ? I can’t imagine a life where I don’t make jewellery. I see schmücken riding off into a sunset of new collections and opportunities for the range to be stocked in some of the great boutiques around Brisbane and Australia. There have been whispers in the wind of a group exhibition in 2012, which would feature my work alongside some wonderful homegrown talent. My head is filled with a heap of designs that are just waiting to be sketched on the back of bus tickets, so I suppose my aspirations for the future of schmücken is that the future is a long one! See you at the FK markets! Would wear each and every one of them. Thank you for spreading beauty into the world!